If you would like to arrange an individual consultation, please e-mail a requested date and time, and a brief description of your research interest, to gis@laurentian.ca. 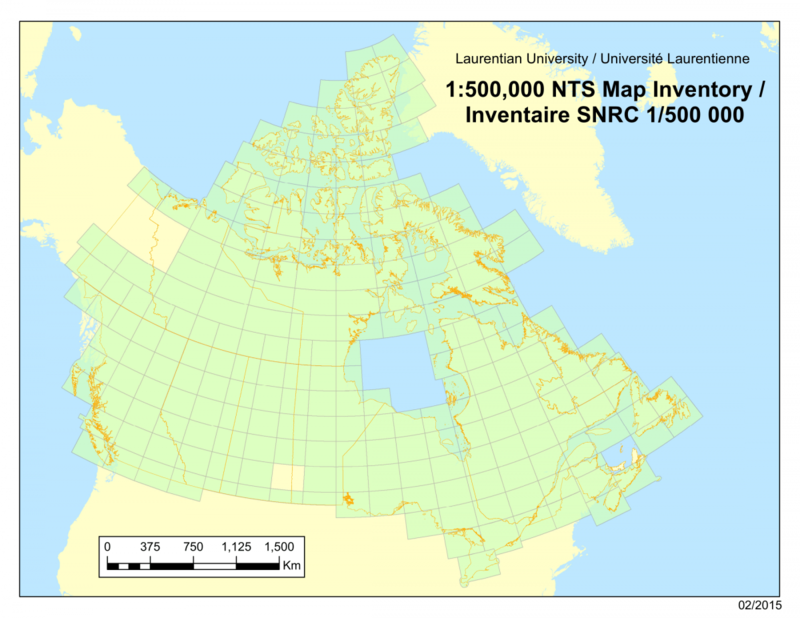 Students, faculty and staff at Laurentian University have access to a wide variety of GIS data files (eg. topography, forestry, wildlife, ecology, land cover) for Sudbury, Ontario, and Canada. As of August 2018, the Esri Site License is now administered by Information Technology (IT). Please direct all requests for ArcGIS software and Esri training modules to it@laurentian.ca or to (705) 675-1151 x2200. The Library & Archives can no longer provide access to ArcGIS or to Esri training modules. However, the Library & Archives can still assist with GIS data requests. Please contact gis@laurentian.ca to learn more. Scholars GeoPortal offers search, preview, query, download and sharing functionality for datasets licensed by Ontario university libraries, covering such topics as land use, transportation networks, census boundaries, geology, soils, points of interest (such as healthcare facilities, schools, and airports), air photos, and more. Geology Ontario: Ministry of Northern Development, Mines and Forestry: This site provides access to the information holdings of the Ontario Geological Survey. Hundreds of digital products containing field data, geophysical surveys, geochemical analyses and geochronological measurements are available for download. Ontario Basic Mapping: The Geography Network: This site provides users with access to downloadable layers for most of the province at a scale of 1:20 000 in Northern Ontario and 1:10 000 in Southern Ontario. This includes data like Conservation Authorities, highways, National and Provincial Parks and many more. For more popular free data website, see the links on the Canada and International data tab. This dataset contains data that pertains to tree planting sites from 1979 to 2010 and liming sites from 1978 to 2010. The 2005 Planning Landbase database covers the Greater Sudbury Area. Attributes include various forestry and planning related themes such as ownership, authority, MNR codes, species and cover type. 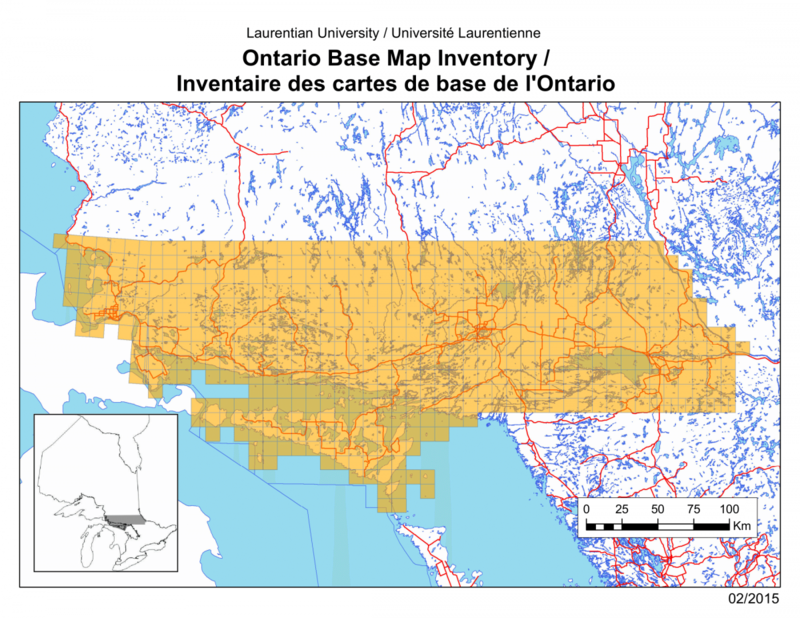 Laurentian University is a member of the Ontario Geospatial Data Exchange (OGDE). Through this agreement, members of L.U. have access - free of charge - to a variety of provincial data provided by Land Information Ontario (LIO). For a full list of data available from Land Information Ontario, see their website Discovering Ontario Data. Crown Land Use Policy Atlas: Ontario Ministry of Natural Resources: This interactive mapping browser allows users to view a variety of information including parks, forest management units, and primary land uses. Layers can be added and removed to illustrate the user’s specific area of interest. Official Road Map of Ontario: Ministry of Transportation: This site contains downloadable official Ontario road maps for each town/city in Ontario. GeoBase: Canadian Council on Geomatics (CCOG): This site provides access to quality, up-to-date, and well-maintained geospatial data for all of Canada. Geogratis: Natural Resources Canada: This site distributes free geospatial data for Canada. There are numerous datasets in a variety of file formats. Geoscience Data Repository: Natural Resources Canada: Through this site, users are provided with access to a large variety of digital images and datasets for all of Canada. Health Region Boundary Files: Statistics Canada: This site provides access to downloadable files for the health boundaries in Canada in a variety of formats. The National Soil DataBase (NSDB): Agriculture and Agri-Food Canada: This site provides users with access to datasets that pertain to landscape, soil, and climate for all of Canada. Scholars GeoPortal is a geospatial data discovery tool allowing Ontario’s university students and researchers to enrich their teaching and research by engaging with OCUL’s growing collection of geospatial data. The portal offers search, preview, query, download and sharing functionality for datasets licensed by Ontario university libraries, covering such topics as land use, transportation networks, census boundaries, geology, soils, points of interest (such as healthcare facilities, schools, and airports), air photos, and more. Please send any feedback regarding the portal to gis@scholarsportal.info. These datasets contain both cartographic and digital boundary files. The files cover various geographic levels such as Census Consolidated Subdivisions (CCS), Census Subdivisions (CSD), Census Tracts (CT), Dissemination Areas (DA), Census Divisions (CD), Designated Place Level (DPL), Economic Region (ER), Federal Electoral District (FED), Urban Area (UA), Forward Sortation Areas (FSA) and Census Metropolitan Areas (CMA). These files are available through Scholars GeoPortal and Statistics Canada. Health regions are legislated administrative areas defined by provincial ministries of health. These administrative areas represent geographic areas of responsibility for hospital boards or regional health authorities. Health regions, being provincial administrative areas, are subject to change. Download directly from the Statistics Canada website. These files cover most urban areas across Canada. The files include street names, types and direction. Some files are available through Scholars GeoPortal , you can also download directly from Statistics Canada. For more information, see the Road Network File Reference Guides: 2006, 2009. 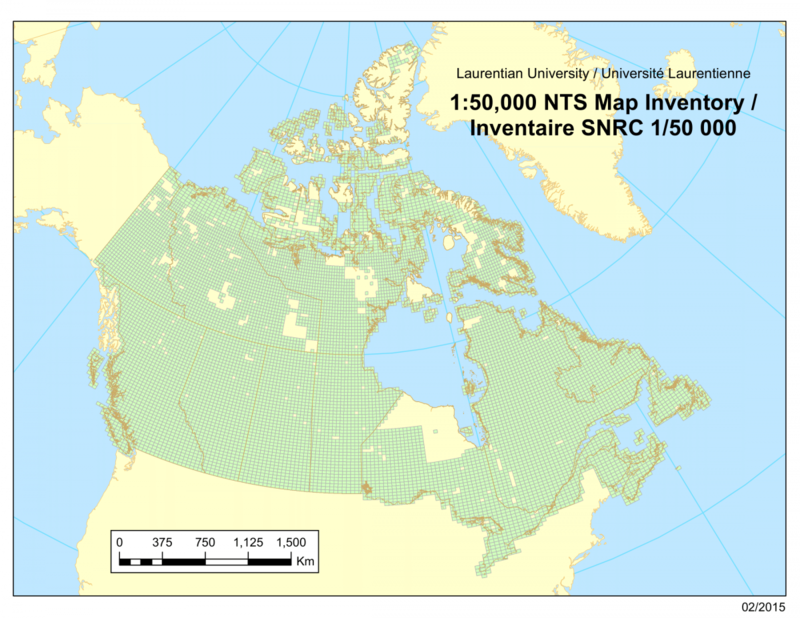 Atlas of Canada: Natural Resources Canada: This site has many maps with a variety of themes, including climate, economy, freshwater, health and many more. Citing Geospatial Data Resources: The University of Waterloo provides examples for citing different types of geospatial information. 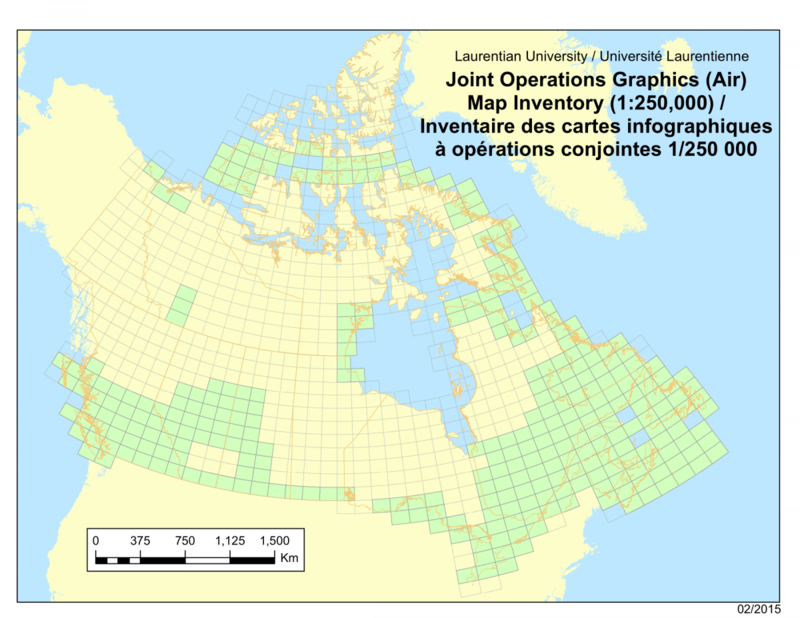 Citing Statistics Canada Maps and Geospatial Products: Provides examples for citing Statistics Canada maps and geospatial products. How to Cite Statistics Canada Products: Guide on how to cite Statistics Canada data. Database Title [format]. Place of publication: Publisher, date. Available: Name of site and URL (accessed date). Example: AVHRR Land Cover Data, Canada [computer file]. Winnipeg, Manitoba : Manitoba Remote Sensing Centre, 1998. Available: GeoGratis: http://www.geogratis.gc.ca/download/noaa/ (accessed Jan 10, 2012). Map Title [format]. Scale. Database names (for geography and data) [format]. Place of publication: Name of person who generated map, date. Using: Computer software name [type of software]. Version or edition. Software manufacturer location: Software manufacturer name, date of software release/copyright. Example: Population Density in Greater Sudbury [map]. 1:20,000. Statistics Canada Census Subdivision Digital Boundary File gcsd000a06a.zip [computer file] and Profile for Canada, Provinces, Territories, Census Divisions and Census Subdivisions, 2006 Census Catalogue No. 94-581-XCB2006001.ivt [computer file]. Sudbury, ON: Jane Doe, March 2012. Using ArcGIS [GIS software]. Version 10. Redlands, CA: Environmental Systems Research Institute, Inc, 2011. 1) Attribute (Tabular) Data: This data is descriptive and can be directly linked to features. It is compiled and collected at different levels of measurement (i.e. Census Subdivisions, Postal Codes, etc. ), then it can be combined with other data sets to display information on a map. 2) Image Data: Image data can range from scanned maps to aerial photographs and satellite images. 3) Cartographic (Map) Data: This data contains information on the shape and location of geographic features. Features are represented by points, lines and polygons. There are several definitions for GIS, common to all definitions is the "spatial" or "geographically referenced" element. Data must be associated with a location in order to be portrayed on a map. For more detailed explanations of GIS explore some of the helpful links. What is GIS: ESRI: This site helps define GIS as well as explaining some of the general models of a GIS, applications and an index to dictionaries, periodicals and dictionaries. ESRI’s ArcGIS Desktop Online Help: ESRI: This online help site contains the same information that comes in the help files with the software. Many how to questions are answered on this site. Wiki.GIS.com :The GIS Encylopedia: ESRI: This GIS-centric encyclopedia serves as a repository for factual, unbiased GIS content.Wiki.GIS.com seeks to involve the GIS community in an ongoing process of creation and collaboration of conceptual GIS information. Geographic Information Systems: USGS: This site provides more explanations to help understand, what GIS is, how it works, some useful applications, and a variety of other GIS related information. GIS Lounge: DM Geographics: This site is a great resource for a variety of information pertaining to GIS. The Map Library is located in room P325 in the Parker Building. The Map Library is generally open during the university's business hours (8:30 am - 4:30 pm) but may be open later, pending staff availability. To ensure that the Map Library is open during your visit, please contact gis@laurentian.ca. In fall 2014 the Library's map collection was moved from the 2nd floor of the J.N. Desmarais Library to the Map Library, where it can be accessed alongside the Geography Department's collections. The Jesuit and rare/historical maps are now housed in the Archives. The JND Library & Archives are still responsible for its map holdings. Please forward any inquiries about the collection to gis@laurentian.ca. Hours: vary. Usually open during university business hours. Contact gis@laurentian.ca for details. Note: the Map Library is jointly administered by the JND Library & Archives and the Geography Department. Inventories of the Geography Department's holdings will be added to this page as they are created. The Map Library holds an extensive collection of 1:50,000, 1:250,000 and 1:500,000 NTS maps and indexes. The Map Library holds an area paralleling highway 17; that is starting with Sault-Ste-Marie in the west all the way to Mattawa in the east, then north to Lake Temagami and south to include all of Manitoulin Island. "The JOG (Air) maps represents the ground as seen from a pilot's point of view. These include transportation networks, infrastructure, landmarks and cultural features, topography and vegetation, as well, aeronautical overprints such as obstructions, special use aerospace, navigational aids, and related data." (East View Geospatial). Compiled by the Aeronautical Charts Division (Mapping and Charting Establishment, Department of National Defence) in 1991 from best available sources. Aeronautical information supplied by the Canada Centre for Mapping, Department of Energy, Mines and Resources. Coverage at 1:250,000 according to UTM Zones. 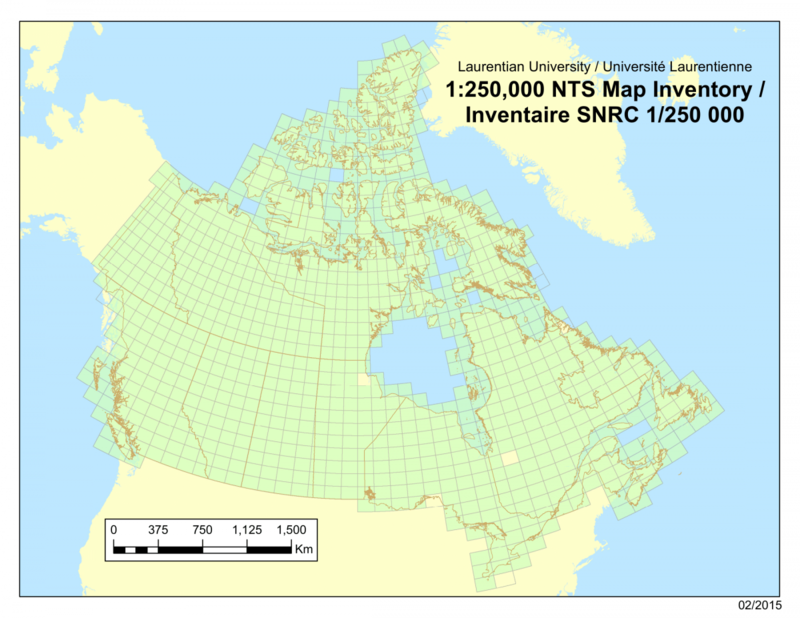 The Map Library holds a broad collection of maps from the CGS, OGS and federal and provincial departments of mines. Coverage 1910s to present. Location and hours: see Archives. Note: Archives staff are not responsible for these map holdings and cannot provide assistance with them. For assistance with the map collections stored in the Archives, please contact gis@laurentian.ca or visit the Borrowers Service desk. To find cartographic materials in archival fonds, please view the Archives' fonds descriptions. The holdings entitled "Jesuit Maps" were donated to the Department of Geography in 2006 by the University of Sudbury Library. These include various types of topographic maps, road maps, city plans and even hand-drawn charts for an approximate total of 120 maps. All items belonged to a Jesuit priest at one time or another. Contains primarily reproductions of historical plans and maps. These reflect early configuration of settlements and cities such as Constantinople, Frankfurt, Jerusalem, Berlin, Copenhagen, Babylon and Goa. Birds-eye and plan view included. Reproductions reflect early cartographic and printing methods. Several antique maps of Canada and the U.S. are also included.